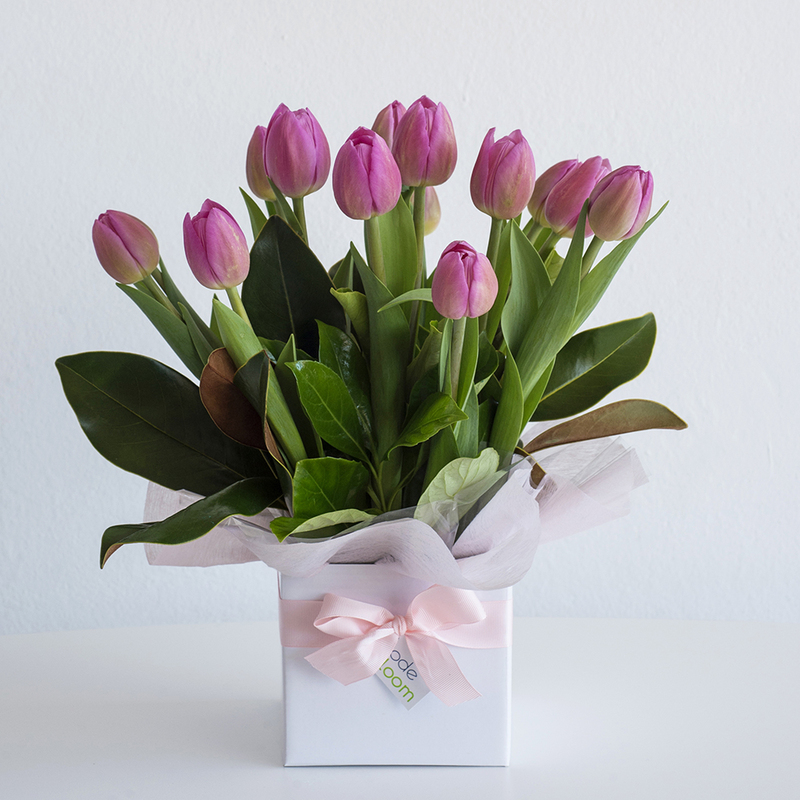 Take advantage of the cooler climate and send a beautiful box of tulips to someone! A very popular choice in flower and when designed in a convenient box for self watering it makes a great gift. We love pink but you can request an alternative colour and we will be more than happy to fulfil it if it is available.